pros for a fast reply. This form has received the maximum number of entries. As a Microsoft Silver Midmarket Cloud Partner we have access to the vast marketing, technical and consulting resources that Microsoft has. We also sell and support the Windows PC and Server Platforms, Office 365 suite and Azure Cloud storage and virtual machine services. 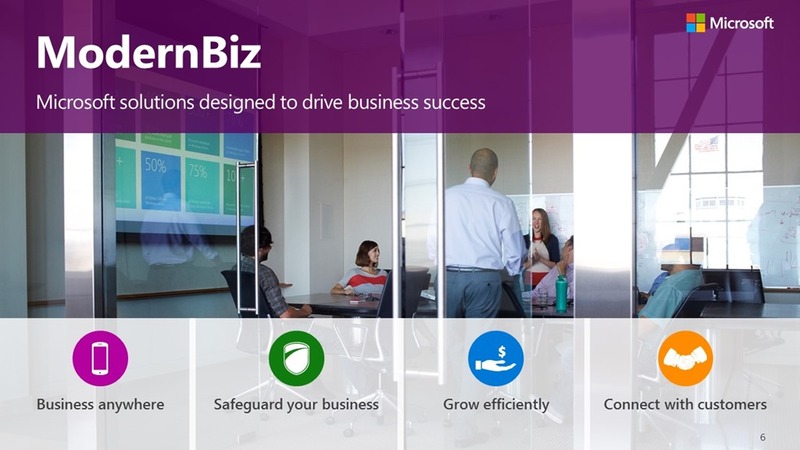 Get solutions that help you grow your business with greater efficiency—by reducing costs and getting exactly the technology you need when you need it. And because it’s Microsoft, you can build on familiar tools, so growing your company doesn’t have to mean growing your training and ramp up costs. The only constant is change, especially when it comes to the technology we use to help run our businesses. And the pace of that change is constantly accelerating, whether as a result of major innovations like cloud computing or the impact of economic events. Technology should be an asset—one that helps you to anticipate, manage, and respond quickly to change. Technology should also help your organization reduce costs and get more from the investments you make. How quickly can we get new employees up and running with the tools they need? How do we keep up with the massive growth in data needed to do business today? Are we getting the maximum return on our technology investments? Can we simplify IT, so less time is spent on repetitive tasks and more is focused on addressing strategic business needs? Get modern protection for evolving threats, with solutions that help protect your business data and minimize the disruptions caused by unexpected events. 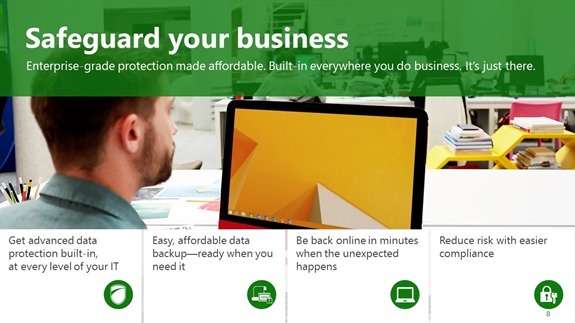 With Microsoft, enterprise-grade protection is built into its technologies. So you don’t have to think about it. From advanced data protection to solutions that help you recover quickly from unexpected events, get technology that is designed to help safeguard your business. With growing use of the cloud and mobile devices at work, how can we keep business data protected? As my data grows, how can I make sure it is all backed up without spending a fortune? If an unexpected event occurred, like a fire, break-in, or flood, how long would it take our business to get back online? And what would this downtime cost our business? How do we keep up with a constantly changing compliance landscape? Enjoyable and helpful information. Great introduction - made me want more info. Web development and hosting Jethro Consultants.